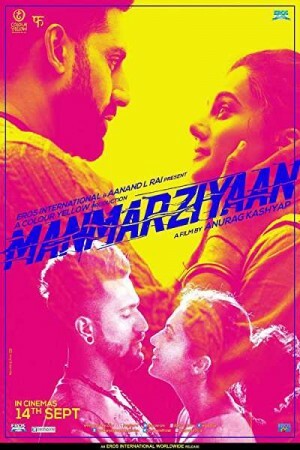 Manmarziyaan is an Indian romance, comedy, and drama film that is based on a love story set up in Punjab. While Rumi and Vicky are in love with each other, they regularly make love while Vicky waits for his music break. The first twist comes when Rumi’s parents catch them red-handed and start building pressure for marriage. After Vicky starts avoiding calling his parents to fix the marriage, Rumi gives up on this relationship and agrees to get married to her parent’s choice, Robbie. This forms the second twist and the real crux when the love story converts into a love triangle.